Hmm, so the ATI GPU CSync option is a little weird. It sends CSync on the VGA connector HSync pin, which is okay. It also sends pure VSync on the VSync pin though, which screws up my sync detection routine. I'll probably create another "sync mode", but it sure is getting pretty messy now. I think that feature was created with a VGA to SCART, or VGA to BNC cable in mind. I can't remember if there was some "reverse LPF" option implemented (or even just talked) in GBS-C at some point, for improving 2chip SFC image. There's no specialized filter for the 2Chip SFC, but the "Peaking" option in the Web UI can improve the sharpness a little. Order another one. The first one may be lost somewhere. Okay, so I revamped the RGBHV code over the weekend. Its task is to track the source timings, and adjust the ADC sampling clock for the various resolutions that one can expect from a connected PC or similar device. The new logic is less trial and error, which never worked so well. Instead, it tries to determine the correct "slot" for the sampling clock. This enables low and high resolutions, at various refresh rates. In a test, I had no problems running some common resolutions at 60, 72, 75 or 85Hz. Also new is the ability to work with sources that have H+V Sync, but where the HSync is actually CSync. The CRT Emudriver for AMD video cards can force this mode under Windows, but I'm sure there are other devices that use it. This mode generally works as well as the normal RGBHV mode, but it isn't as reliable over time yet. The added VSync pulses need to be properly separated, and there is a lot of variance on how they're shaped. But just being able to do this now enables possible improvements to the Sync Processor that will benefit all operation modes. Oh, and I needed a field rate detection tool, so I added one as well. This can pretty accurately tell the incoming refresh rate, and thus be used to make an educated guess on what the source is. Having the GBS identify the source based on the incoming refresh rate is quite ingenious. It can potentially automate alot of the image adjustments that you would usually do. Got myself a 3D printer this week, so I took the liberty of editing a case found on Thingiverse, to accommodate the ESP8266. I added a hole for a power switch, and a small hole in the side to give access to the USB port on the ESP without removing the top cover. 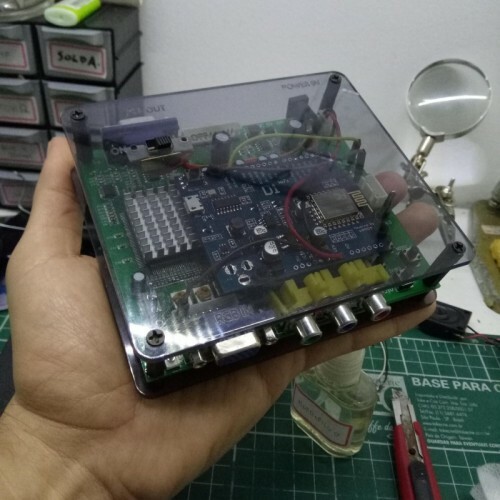 I Love your design I was searching any Solution for one enclosure for the proyect and the yours its excellent, thank you so much. But I lieing if I saying to you it your proyect is exactly I searching. I need add a DB9 port to connect in tue RGBS lines in the PCB. I built a Cable to convert Scart Female Plug to DB9 with RGBS. It would be too much to ask that you add this port to the 3D model. I do not know anything about 3D modeling, that's why I have not tried it myself. I'm not so sure but I think they are of a very similar size. I'm using this with a Mega Drive, and the console is working fine (there is image and sound through Composite). I did no changes to the GBS since it last worked, and the connections seem to be fine. I also updated the firmware in case something got corrupted, but the problem persists. Any ideas? Hey, good that you figured it out. Could you share details on how this connection broke? Did the wire come off, was it an adapter that lost contact? Seems it was an internal break. 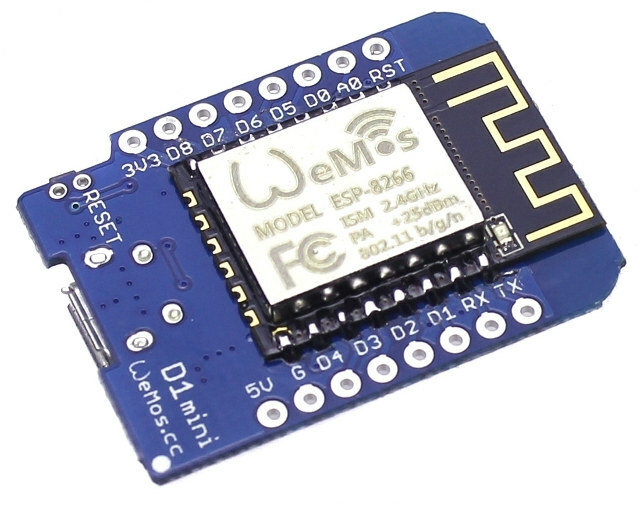 I'm using wires with pin headers (female on one end, 90º male on the other) to connect the GBS to the Wemos, and the SCL wire would make/break contact if I moved it around. Makes sense, as I moved the board to a new case a few days ago. those wires look a bit like those "100 pack" colored plug wires from China. I often use those for prototyping, and they're probably of the cheapest possible to produce kind. Is it possible to do something to prevent the GBS-8200 from deinterlacing the image? sure, if you mean with gbscontrol. Simply select "Bob" deinterlacing in the web ui. If you mean the original MCU, then no, there aren't any meaningful options for the original software. 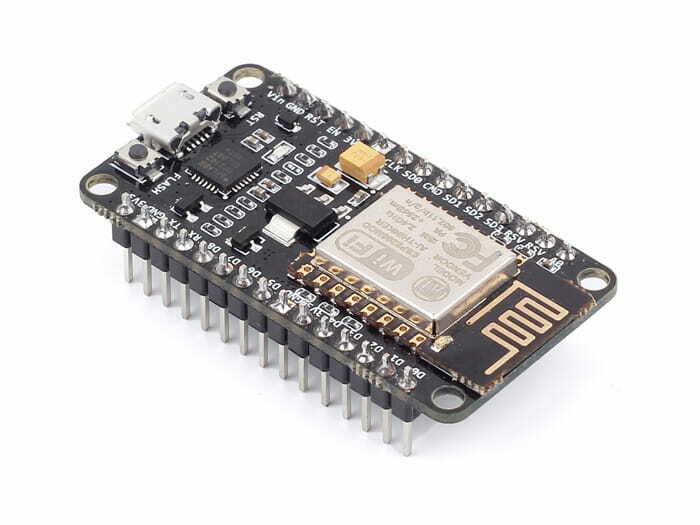 I thought about buying a few GBS boards, assembling an ESP8266 and programming it with GBScontrol, then selling them. Not sure if anyone would actually buy them though so im holding off. I have one more question about the GBS Control. I would like to know if I can control the system from the device itself or only from the browser level? only from the browser currently. Is this controller enough for me to upload the system? Do I have to stock up on this one? Just the last question about the UI. Can I replace the .HTML file with my site layout or I have to use it from the author (I ask because I do not like it very much and I created my own for fun). You can see the HTML source in "webui.html". There's some CSS that defines the color palette and overall look. The layout is HTML and there's some JS that works on the CSS to show the state of things. You can change all of this in any way you want, but it should obviously still work, so I'd leave the JS as it is. If you're on Windows, you can use http://babun.github.io/ . The script formats the .html and compresses it to the correct format. After uploading the sketch, your new site will be served. Yep, call me impressed. This does look nice! There are some functional issues, but more importantly, would you want to share your design? Why not. I can share it. I just do not know where it is from. Has anyone started selling pre-modded/pre-configured GBS units, with or without cases?